IT Chimes delivers solutions that feeds the requirements and objectives of your business. 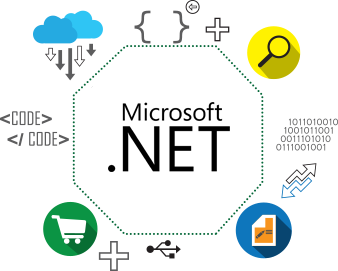 We provide you with complete .NET solutions with process-oriented applications, high performance rate and software products for mobile, cloud and web. We offer you with message oriented middleware and help you increase the capabilities for introducing .NET solutions. This will ensure unrestricted A2A/B2B communication. Our experts are proficient in making your business requirement transformed into scalable and flexible .NET solutions. We help your business to grow in a considerable way. We offer you with various range of services which will migrate your current applications to .NET and upgrade your performance. Our experts provide you with customized .NET solutions for third party to make them tailor made to your requirements. Our services stretch around API optimization and development, UI skinning and improvement in functionality. ASP.NET MVC5 is a widely used application that supports various business requirements. It helps you to create the applications that runs on your websites using the Visual basic and visual C# platform. We build lightweight, stable, functional and interactive web apps with greater integration and scalability through .NET framework. We offer you Web Services, B2B and B2C portals, Marketplaces and online stores, Social Commerce and networking, Entertainment and Games. We offer you with Corporate portals and sites, Enterprise resource planning, corporate intranet and extranet, document and project management. IT Chimes help you in solving challenges coming in heterogenous computing. We test all our major platforms and browsers before implementation of custom web development. We are known for delivering satisfactory results to our clients. Our developers employs the best techniques and tools to bring highest quality to various range of services. We possess tools that makes us highly flexible for meeting the demands of various business irrespective of size.